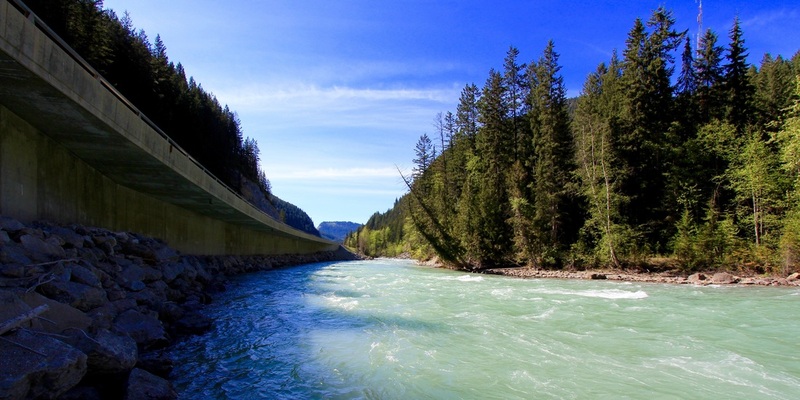 "White-water rafting in the Kicking Horse River is a major tourism and economic driver in the Golden, BC area, attracting an estimated 40,000 visitors annually; 15,000 who specifically raft the Lower Canyon. In early 2016, CP Rail notified rafting companies in Golden that they would no longer be able to access the lower canyon Kicking Horse River put-in in order to meet Transport Canada’s 2014 “Grade Crossing Regulations” for safety management of federally regulated grade crossings. Project development support is required to identify and plan for a project to address long-term access to the lower Kicking Horse Canyon. Rafting companies have identified some options and the next steps are for technical and financial feasibility to be assessed with input from experts and stakeholders (e.g. provincial/federal governments, CP Rail). Video on the left: During the February meeting with Pete Bayerle of CP Rail and the Golden rafting companies, a westbound freight train passed the group. From this video, one can better understand the large fairly long sight-line and pre-staging area that the rafting companies and kayakers use on the north side of the tracks. For the last 40 years, when the crossing was clear, rafting company flaggers have let their guests cross to the south and the lower put-in with no incidents. A ban on pedestrian and vehicle crossing here is unfortunate and will likely result in millions of dollars of lost tourism for Golden and Columbia Shuswap Regional District (CSRD) Electoral Area A starting this spring. A process has been initiated in order to restore river access to the Lower Canyon. The water flowing down the walls of the Kicking Horse Canyon naturally offer great ice climbing opportunities within view of the Trans Canada Highway. However, due to the tight confines, and highway construction and maintenance not taking this natural capital into account, and small areas which are large enough for parking in the summer are not cleared of snow in the winter. The result? Mountain guides take guests to Field, BC instead. If a long-term, sustainable solution to the CP Rail/rafting access issue is found, it will need to be supported by all levels of government and many user groups. While this issue has been focused on the re-establishing rafting and kayaking access, the community will likely be more successful if it pulls in other, broader user groups like sightseers, hikers, and mountain bikers in the summer time and ice climbers and Nordic skiers in the winter. A solution for this "blue way" could be expanded to open up a "greenway" and "whiteway" for many more people - both locals and visitors. For some long-time residents, it may seem far-fetched at first. There has never been a bridge there before. 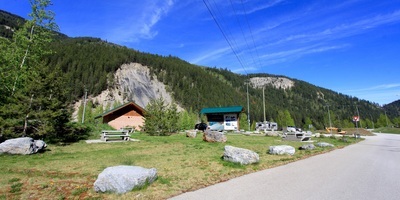 However, think about how isolated that the bench is when it has the Golden Rim, Golden Village, British Columbia Visitors Centre @ Golden, Whispering Spruce Campground, Pine Drive & Canyon Ridge. Five hundred metres as the crow flies - from the top of Golden Hill to the center of Town - becomes a 4km car ride. Both the end of Golden Donald Upper and 9th Avenue are main roads but are essentially dead-ends. 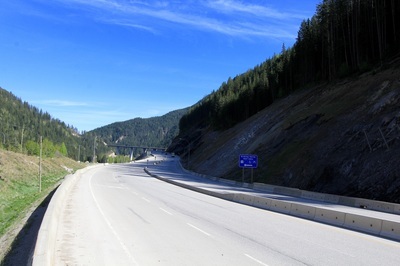 Further, the Trans Canada Highway #1 improvements are not going to substantially help active transportation access up and down the Golden Hill. This bridge provides a link to the Whitewater Amenity Hub, Campground, arena, pool, elementary, secondary schools & the college, and soccer fields, as well as the downtown. From the bridge looking east, residents and visitors get a stunning view of the canyon and the rafters drifting in, which is unattainable from anywhere in Town. Looking west, observers gaze out at a view of the Town and the kayakers starting down the future whitewater park. And just like the downtown timberframe bridge, it is a tourist attraction onto itself. Hotel guests on Golden Hill (west bench) will be able to walk to the bridge, to view the jumpers, or continue on to the downtown business area for dinner. This project would make a lasting improvement to tourism, recreation, heritage, architecture and active transportation in Kicking Horse Country. Costs: Excel Bridges out of the US ballparks bridge construction between $350 and $2,000 per linear foot. To put that in understandable terms: likely between $1.5M and $3M. Comparisons: The Town of Banff completed a multi-million dollar pedestrian and services bridge. More information on this project can be found through Leslie Taylor's blog entries from Feb 4, 2012 and Feb 12, 2012. The City of Trail is looking at a larger structure. Bridge in above photo: Whistler Bungee and bridge. Bridge in right photo: This pedestrian bridge / footbridge was designed by Enrique Browne y Asociados Arquitectos. The function is to connect the group of social housing that was built for local families in the traditional resort town of Zapallar, in the Central Coast of Chile. The bridge is also being use to serve and transfer water pipes, electricity, etc. 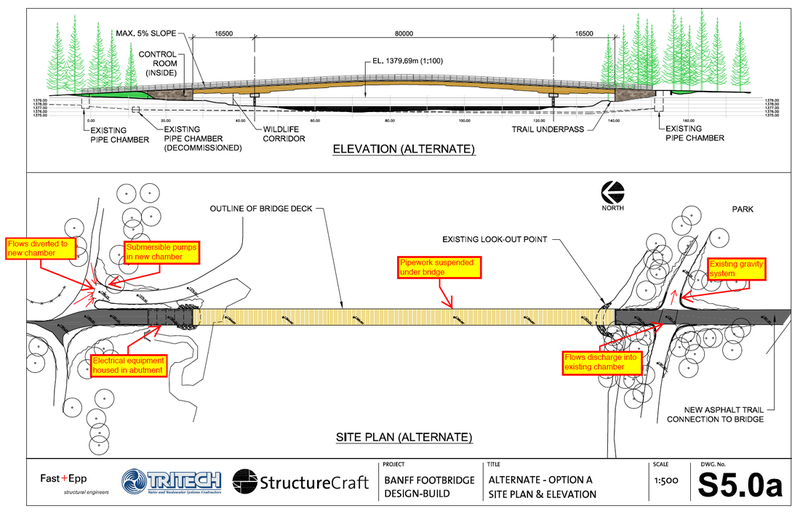 from one side to another – similar to how the new, $7M Banff Pedestrian Bridge was designed. Bridge in illustration: The Banff Pedestrian Bridge. 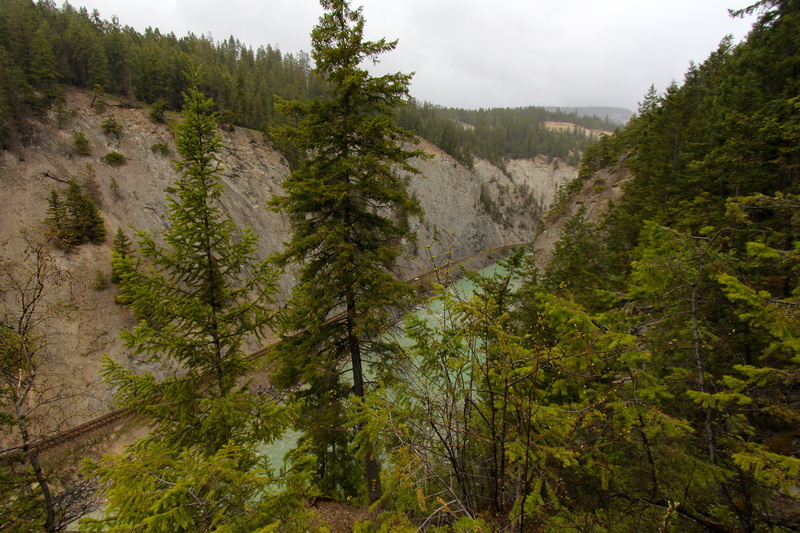 Site photos below: Photos taken in May 2014 of two potential bridge sites from the south and then north side of the Kicking Horse River. (For reference, the timberframe pedestrian bridge in downtown Golden is marked 'Here' on the map.) The western-most site (Site 1; first few photos) is approximately 300 feet across and 135 feet above the river. The eastern-most site (Site 2) is approximately 375 feet across and 300 feet above the river. Level parking access on the south side is available from the Keith King Ball Diamonds parking lot (and potentially the unfinished hard ball diamond). Car and pedestrian access could be available between the Trans Canada Highway right of way and Whispering Spruce Campground on the north side of the river (last four photos). 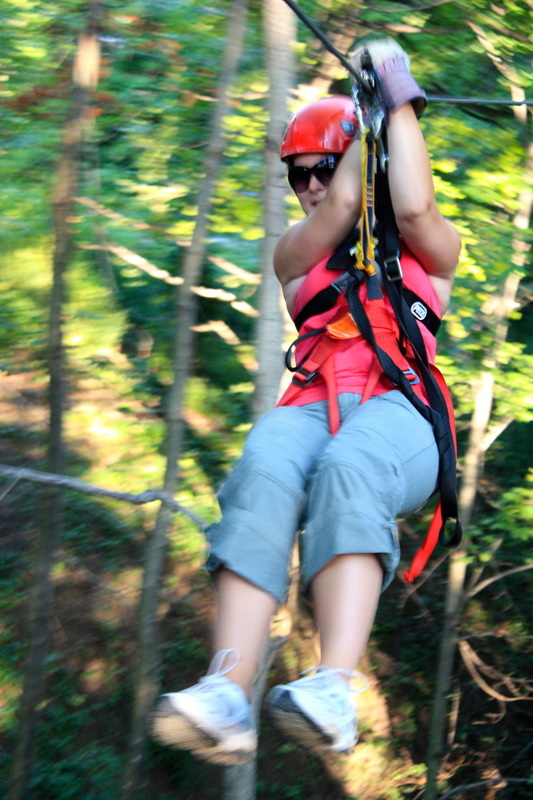 Ziplining is growing throughout the world and western Canada. It lends itself to areas with large trees, and striking views that are more accessible from higher vantage points. It is fairly infrequent repeat activity at the same site, but instead, there is a desire for individuals to participate or "eco-tour" different sites and courses. 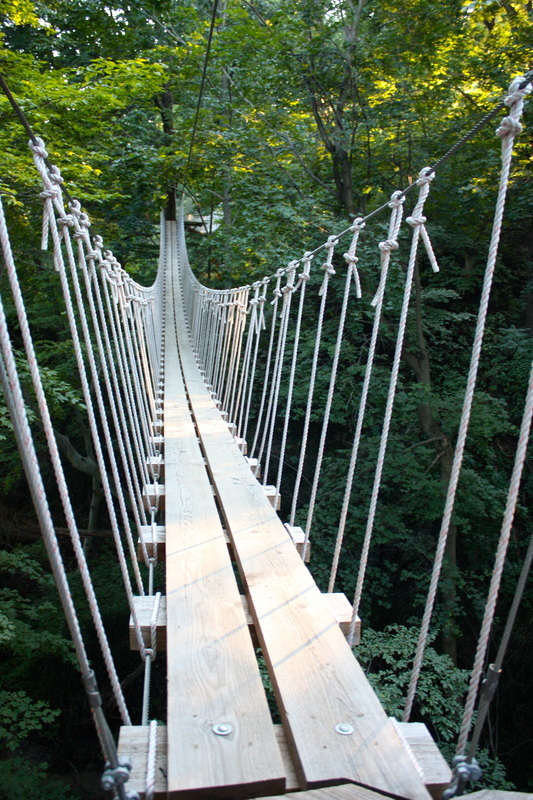 Ziplines are often paired with high ropes courses and/or 'team building' courses for corporate/leadership retreats (e.g. The Banff Centre). 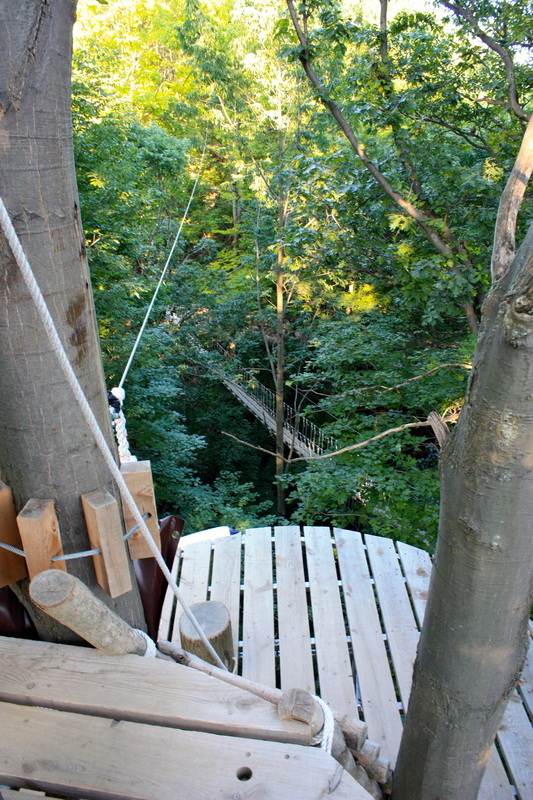 Ever-evolving standards ensure that trees are not harmed in the building of zipline courses. The large trees, steep, otherwise-inexcessible hillsides, and easy access from the Trans Canada Highway, make the Kicking Horse Canyon and base of Mount 7 a great location for a zipline course. While a zipline course could remain on the Crown land on the south side of the Kicking Horse River, there would be advantages to including features that spanned the Canyon - an obvious draw for the Banff and Golden tourism market. 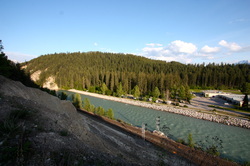 Photo: View of the Kicking Horse River Canyon from the south, looking east. 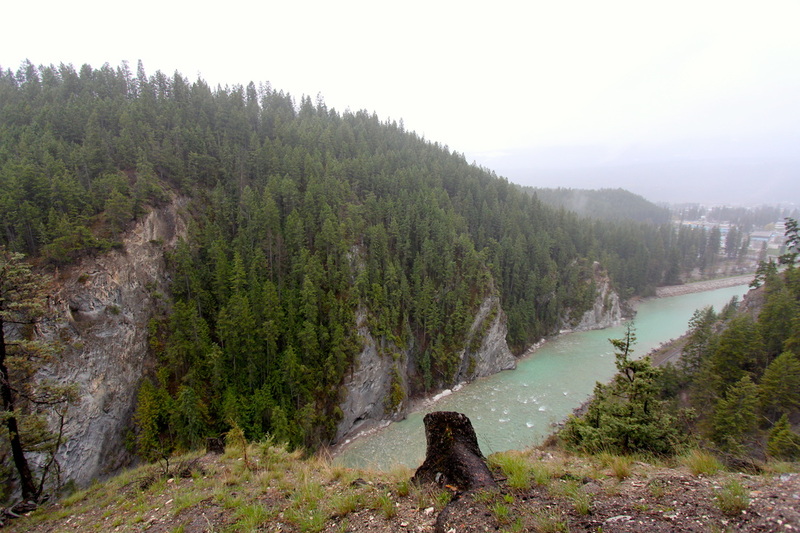 Photo: View of the Kicking Horse River Canyon from the north, looking west. In western Canada, Whistler is the leading zipline location, with 2 operators. Nelson, BC has a zipline course currently under construction. And just 1/2 hour west, there is a local zipline operation. 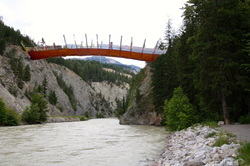 While a Canyon zipline course would not be the first to span the Kicking Horse River, it would provide unique viewpoints and uncompromised accessibility to downtown Golden and accommodation, likely making it a preferred destination during spring, summer and fall for independent travelers and tour bus groups alike. Open year round, Golden Municipal Campground & RV Park is a jewel on the Kicking Horse River and adjacent to Golden Secondary School. The campground operations are based out of the new Whitewater Amenities Hub, a recipient of the Resort Municipality Infrastructure fund. With a Whitewater Park and/or Bridge & Bungee, a campground expansion makes sense up the hill to the east. The additional tent sites could weave along a trail up the side of the hill towards the Bridge & Bungee and Keith King Memorial Park. This additional camping accommodation would suit large outdoor events like tournaments, races and shows. With redevelopment, all street level sites could become premium vehicle sites, while the hillside sites would be for tents only. One could even image semi-permanent cabins or yurts for premium accommodation. And additional operational and marketing synergies could be realized with the management of Whispering Spruce Campground on the north bench, where all of those sites would now be within walking distance of Keith King Memorial Park and the Golden Arena. Cost estimates for this project would vary depending on many factors. Below Photo: An example of glamping (glamour-camping) found at Long Point Eco Adventures. Each 'tent' has a private toilet and shower at the back. And just launched in August 2013, the National Parks have opened up a number of Otentik tents to make it easier for those urban visitors to get comfortable with camping. At a $120/night rate, compared to $25 for a regular campsite, there are some significant revenues to be made from the $10,000 structures. And another variation, the Dream Dome, starts at $145/night for 2 people at Ridgeback Lodge in New Brunswick. Locally, Stonehouse Woodworks has created their version of the glamp house called the Timber Tent. This tent and cabin hybrid is made in Kicking Horse Country. Fernie's The Little Cabin Company has created a great brochure with a detailed revenue model. Beginning with a vision and hardwork by Golden Kayak Club volunteers (especially Larry Sparks), and guidance from Golden Area Initiatives (GAI), approximately $41,585 of the Economic Opportunities Fund (controlled by the CSRD and Town of Golden) was dedicated toward a "Golden Whitewater Play Park Technical and Conceptual Design." This report was completed in February 2009 by Recreation Engineering and Planning (REP) from Boulder, Colorado. 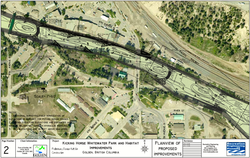 The proposed project area is located on the Kicking Horse River, between the College of the Rockies Campus and the Timberframe Pedestrian Bridge. The man-made whitewater features would end approximately 1km upstream of the Columbia River confluence. "A $170,000 whitewater park in Golden, Colorado has had an estimated $1.7 - 2.2M per year impact on the local economy." - RFP's Preliminary Design Report, 2009. 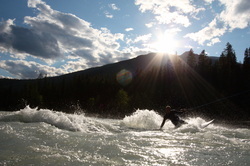 The budgeted costs of the Kicking Horse River whitewater park sit at $484,994. REP's design work included recognition of the potential flooding and ice flow problems. However, during the Bridge 2 Bridge project discussions it was clear that the Town of Golden's project would prohibit these structures from affecting the hydrology through the main business district. In fall 2012, the Bridge 2 Bridge project was quashed through a public voter referendum and so we are left with neither project proceeding. The wave park concept above is significantly different from man-made, pool-based surf parks, which can be found in the US. While the investment and business model is different, Jamie Meiselman provides a good presentation and insight into Viable Surf Park Business Models. In the meantime, other communities push ahead with their own river wave projects. Riverbreak magazine is a particularly good source for information on how waves can be created on a budget. Technology is making man-made surf wave projects more versatile and cost-effective. Check out how the Boise River Park is creating and fine-tuning their waves for a wide group of users. Surf Anywhere is one organization that is trying to help communities around the world develop sustainable surfing waves. Above Photos: Aside from the group of kayakers paddling down past Gould's Island on the Kicking Horse River, all other photos are from the Green Tongue standing wave feature on the Kananaskis Whitewater Park. This controlled flow river is a favourite of kayakers and surfers alike. 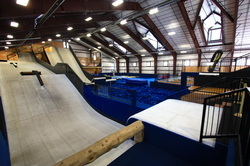 In the 1990s, Pennsylvania’s Camp Woodward transitioned their high performance gymnastics camp into the premier action sport (skateboard, inline skating, BMX biking) camp, driving the industry of skate park design and driving the sports progression with year-round, low-consequence facilities. Woodward at Golden could be the newest of seven Woodward action sport camps (in the US and China), with a focus on powder skiing and riding in the winter and downhill mountain biking in the summer. 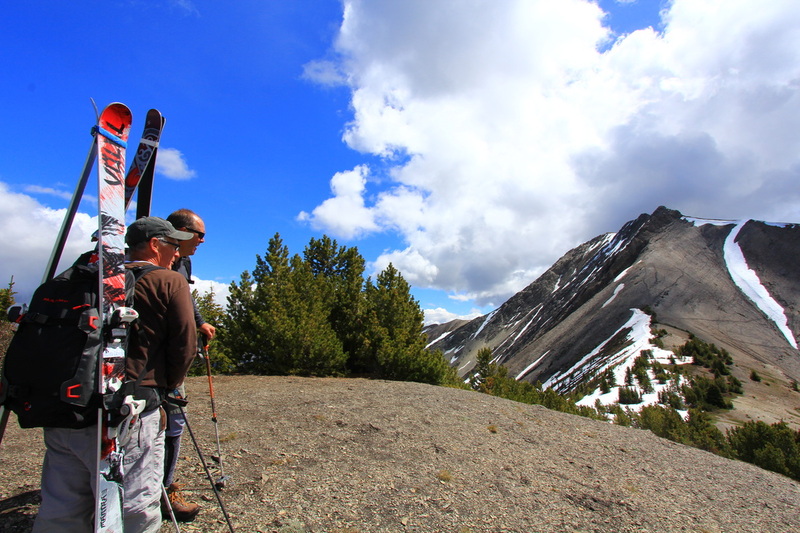 While the natural extreme and accessible mountain terrain of Golden would provide real experience, the Town of Golden’s facilities could provide the skeleton for high performance training facilities. A similar, but more sport-specific facility in Whistler is the new Air Dome. 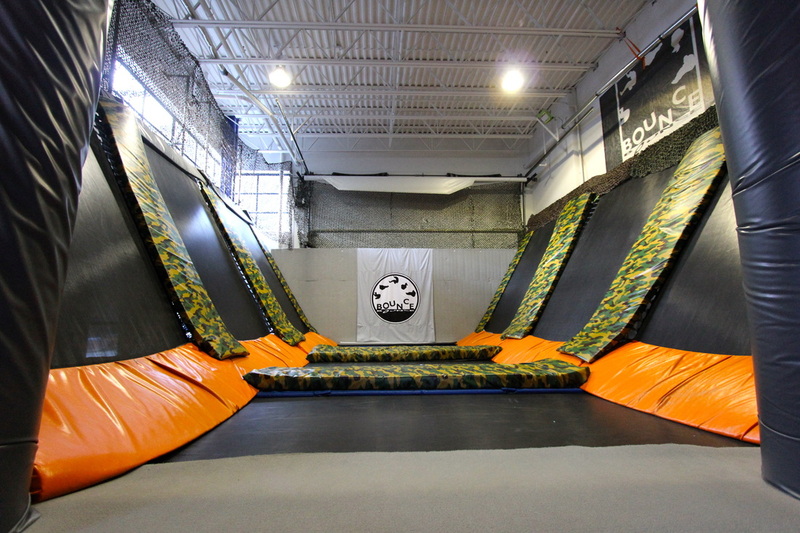 This facility is designed for freestyle/slopestyle aerial mountain bike training and riders take advantage of the 8,400 square feet inflatable dome year round. 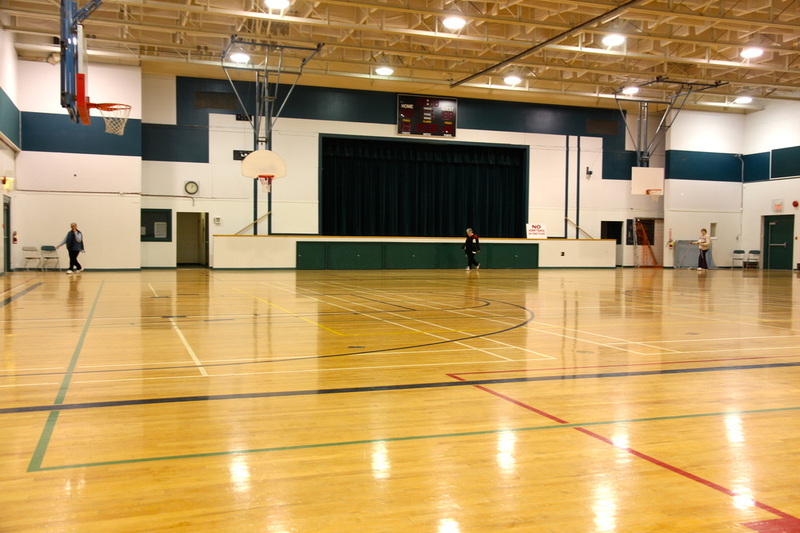 There are also opportunities for facility use by other sport groups, like gymnastics and martial arts. 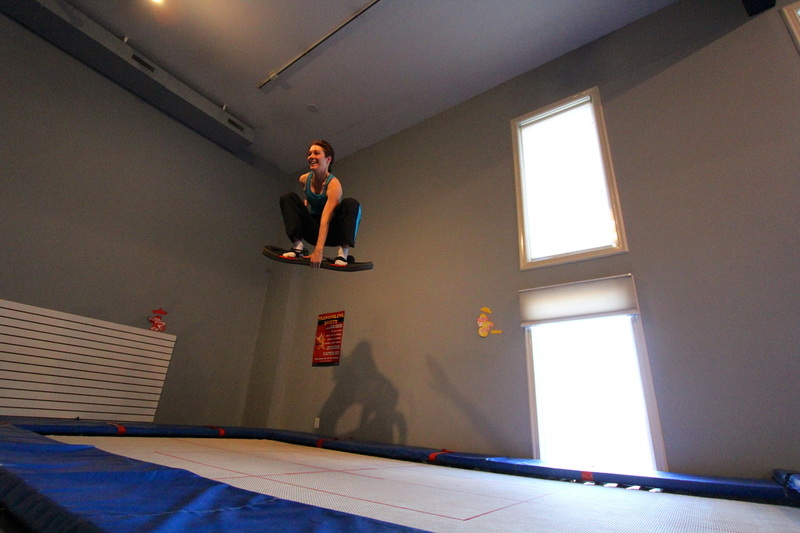 One great example of this concept of multi-sport training can be found at the Bounce Acrobatic Academy Inc. in Whistler, which has taken an existing transit hub building and created 2 separate indoor spaces for trampoline work, plus a soon-to-be-developed skate park in the back parking lot. 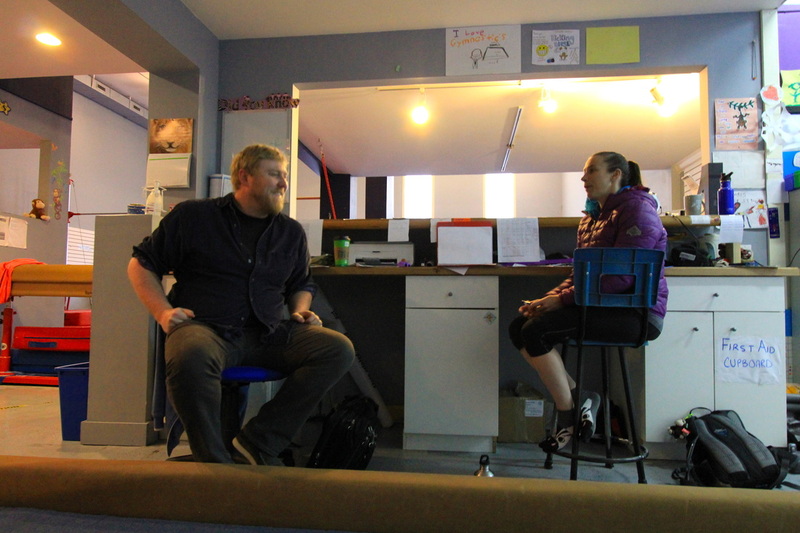 Bounce users include drop-in visitors, locals, specialty sport campers and world class athletes. Golden, BC is an "authentic adventure community," which one could draw many parallels with Woodward, PA or Copper Mountain, CO. A supportive small community, Golden is located within 280 kms from 2 international airports with many complementary tourism products and services. But most importantly, Golden has a collection of government, non profit and businesses that would be willing to help bring the Woodward experience to Canada. Setup of an action sport training facility could start as high as $1M (not including the building, which may already be present in the community). 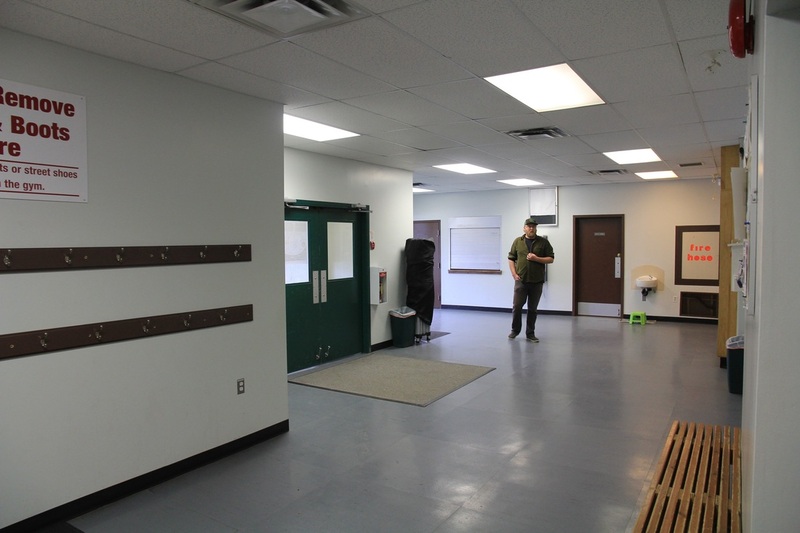 The target demographic for participants is 8 - 17 year olds, for the key 12-week summer period, although many adults use this type of facility year round, too. These facilities often have a camp component and the organizers would need to sort out easy accommodation, transfers and integrate with the other great existing adventure offerings like mountain biking, rafting, hiking and skateboarding. It is these facilities where the next generation of Olympians, superstars and healthy, active kids will come from. How many 'court-sport' facilities does Golden & Area A need? 5 or 6? Could one be re-purposed to become a community economic driver, yet still retain local control? While not the same as what's proposed above, here is one expert's case against trampoline centers: "Trampoline centers a flash in the pan?" Could the Mount 7 Rec Plex be repurposed for specific sports, like gymnastics, and action sport training? Can it afford not to? These additional costs (or missing revenue) should be taken into account when developing business plans for rec groups and facilities. In 2014, after 20 years of being managed by a nonprofit organization, the Rec Plex operations were given back to the Town of Golden - the building owner. Since then, an informal, youth-focused network has been forming. This network is not especially new. Youth-focused staff and volunteers have been networking for years to learn from each other, share programming ideas and resources. But now, groups are starting to look at the big-picture: How can working together do more with the same resources? The answer is collaboration. How can youth-focused organizations collaborate with respect to youth services, support, programming, and facilities? There are many possibilities. Let's start talking priorities! 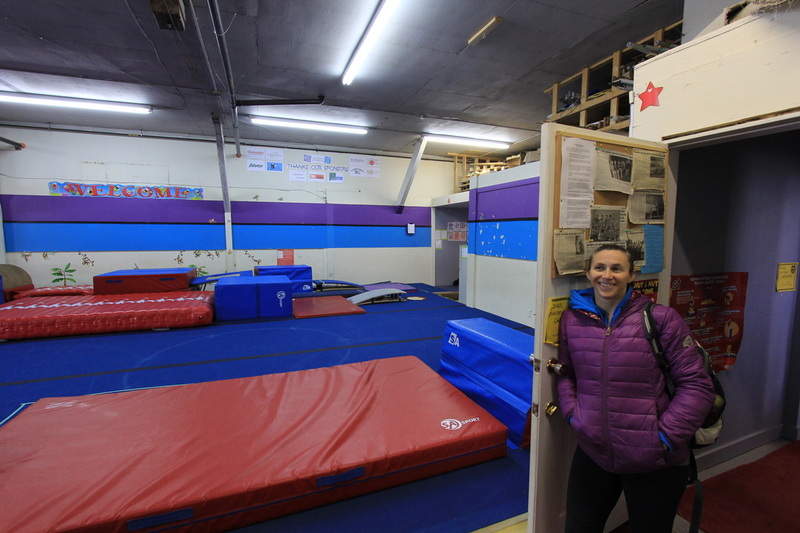 Meetings between the Kicking Horse Gymnastics Club, Youth Centre, Age Friendly Community Committee and Town of Golden have been taking place since May 2015. 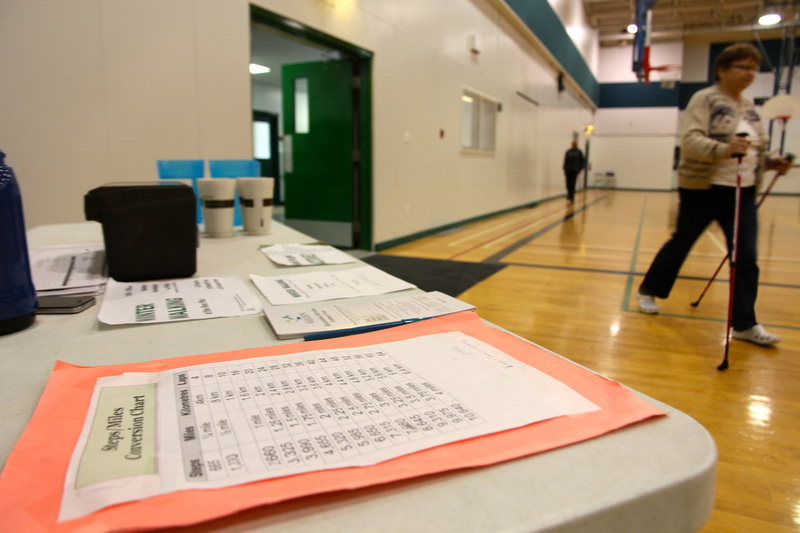 The next step appears to be a feasibility study, outlining the potential uses and partners of this Rec Plex space. Want to be involved? Get in touch with Christine, Mike or Ryan. 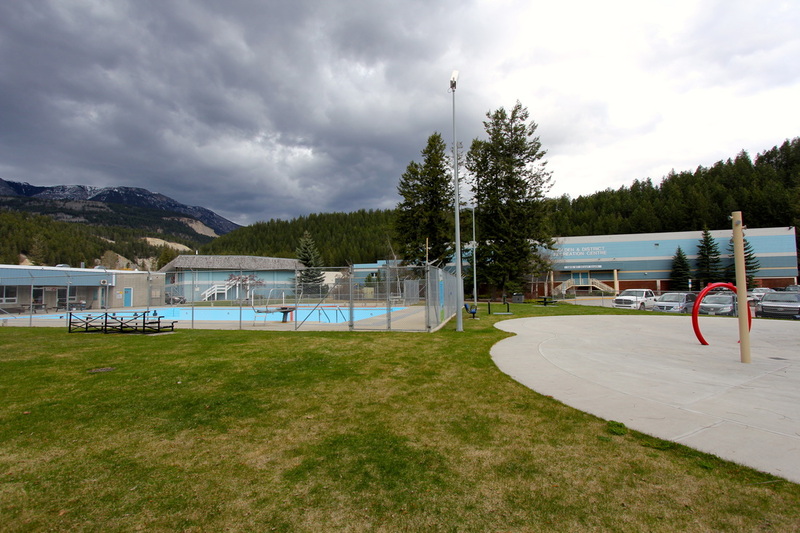 In the late 2000s, the Town of Golden and CSRD Area A residents voted on a referendum for an indoor pool. Support for the ~$1M project proposal failed. Shortly after, in 2009, Golden Area Initiatives commissioned a consultant's report on a $12M Lifestyle Centre, which was to be constructed behind and north of the BCVC - off Golden Donald Upper Road. (This report can be found below.) This Lifestyle Centre was designed to have a wave pool, wetlands interpretive area, and conference/meeting space and required about 100,000 visitors per year in order to cover operational costs. To put this in perspective, in 2016/2017, the Golden Arena saw 3,851 total skating/hockey program visits and the Golden Pool accommodated 14,433 swimming visits. As the government funding for these types of community infrastructure projects was extremely competitive, and there was no appetite to go to the electorate who had just voted down a tax increase on a much smaller project, this $30K+ proposal was shelved. Meanwhile, in Canmore went ahead and secured funding for the $39M Elevation Place which houses a library, art gallery, indoor pool & water park, climbing gym, weight gym and meeting space. This project is currently controversial as the operational kinks get worked out and locals come to grips with the ongoing fees and costs that come with this type of facility. Banff's new $34M Fenlands Recreation Centre is now complete, as well, and includes 2 arenas and beautiful timber framed curling rink. 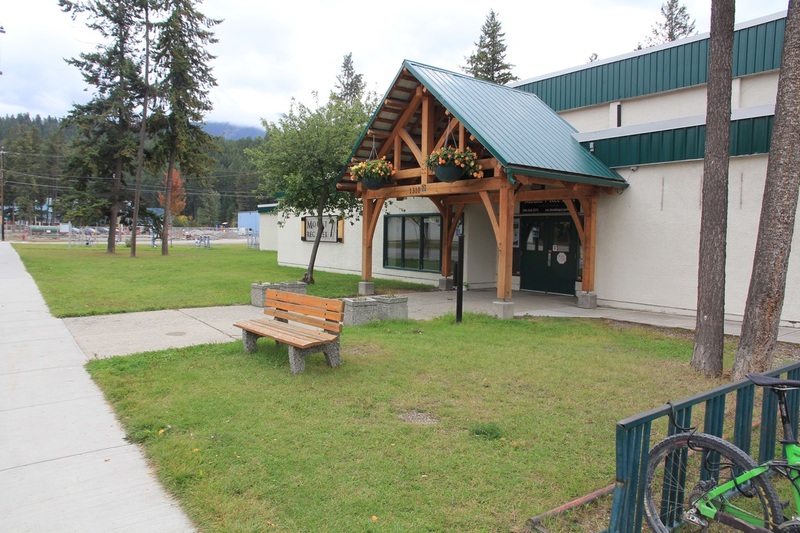 Creston & District's $31M Community Complex turned came in $2M over budget, resulting in the local government borrowing over $20M to fund the project. Having a state of the art recreation centre is no guaranty of improved health outcomes, which should be the focus of a just and inclusive society. Fitter countries around the world do not rely on Olympic-sized swimming pools and NHL-sized hockey rinks to keep their citizens healthy. Instead, they design their communities to be walkable, bike-able and generally lean (no pun intended) toward better “active transportation” community-scaling and infrastructure. Leaders plan spaces where the whole family can be active at the same time (age-friendly), so they are active more often. Over the long term, this planning can lead to the greatest benefits for all citizens – not just the very rare world-class or professional athlete. 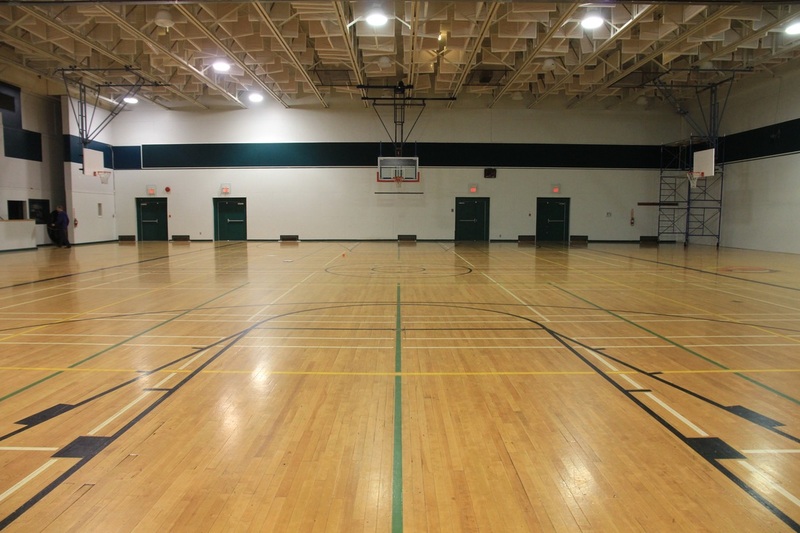 What a new, state of the art recreation centre will guaranty are huge initial capital costs. Even if 1/3rd is paid by local government by way of local taxpayers, the province & federal government will be picking up the other 2/3rds through your other tax dollars. As a general rule of thumb is the lifetime operating and staffing costs are 10x-100x the initial construction costs. (Yes, that is a wide range!) Therefore, all residents will be subsidizing this facility for generations to come – not just 20 years – and whether your family uses it or not. 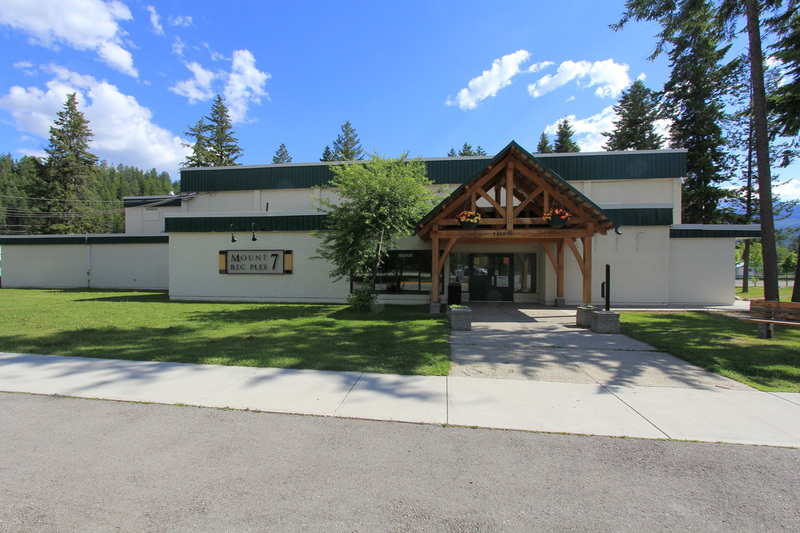 Back in Golden, with separate but neighbouring curling rink, ice rink, outdoor pool and splash park, the community has an opportunity to renovate, expand and connect these facilities into one larger center, which could include an indoor pool. However, a prerequisite for this type of development would require improved cooperation, vision and funding agreements between the Town of Golden and CSRD Area A. If Golden & Area A choose to spend any money on an indoor pool, both groups of local rate payers would need to be comfortable with paying for ~$1M in annual operating costs and likely increasing user fees (as part of a responsible and fair cost recovery strategy). 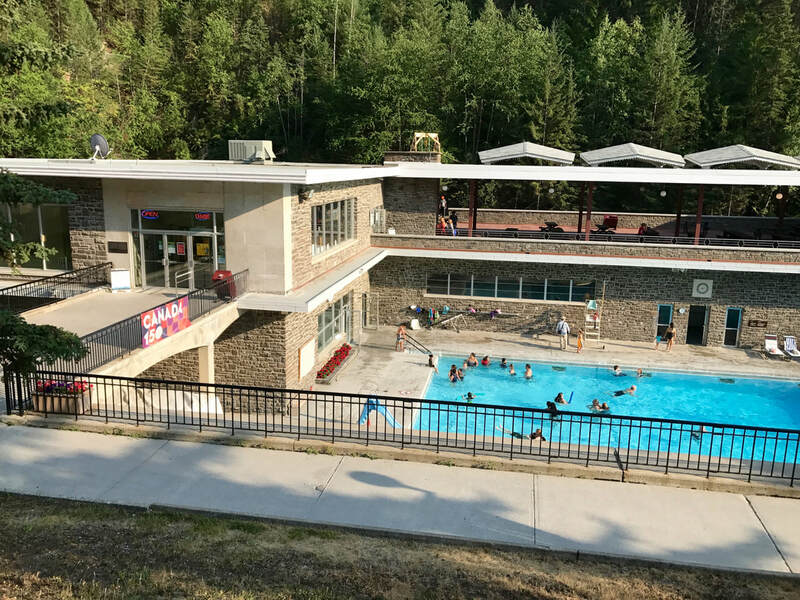 Photo (below): Parks Canada just completed $5.7M in renovations to Radium Hot Springs - home to the "only club in Canada that offers swimming programs outdoors year round," which is only a 45 minute drive from Parson, BC. 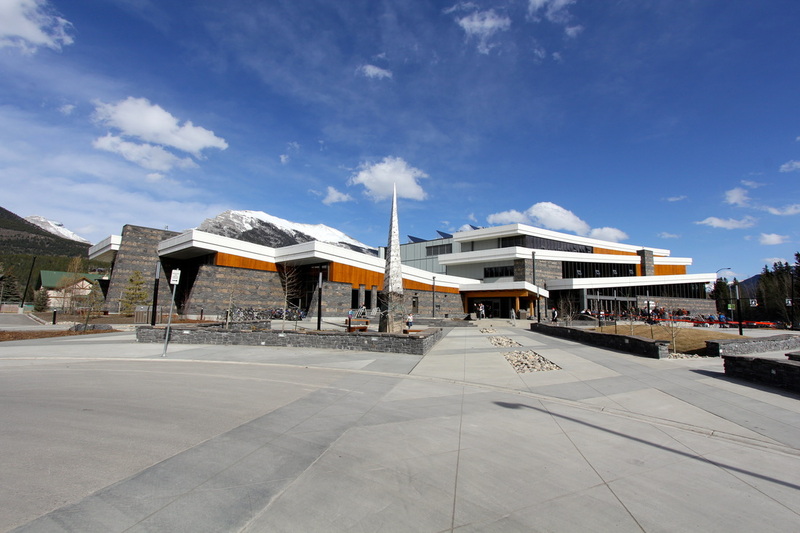 Photo (above): Canmore's $39M Elevation Place, which does not include an arena. 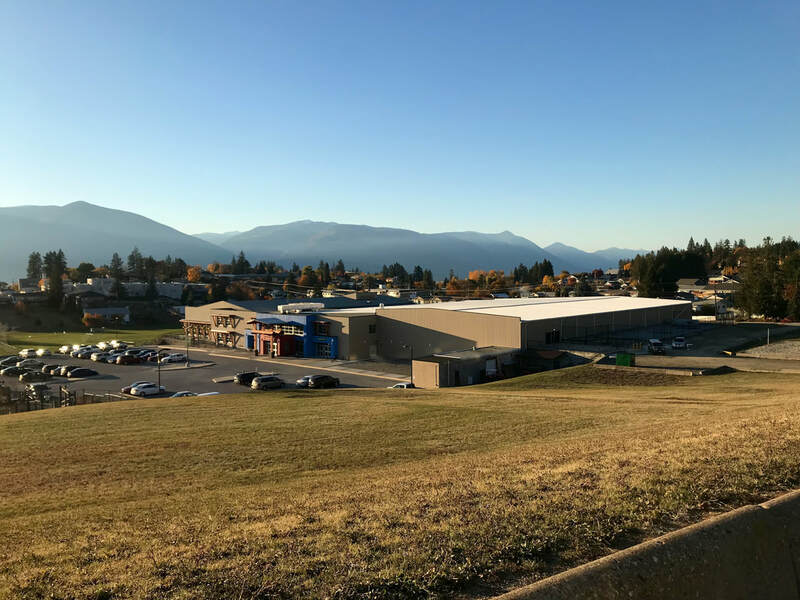 Photo (below): Creston & District's $31M Community Complex turned out to be over $2M over budget, resulting in the local government borrowing over $20M to fund the project. 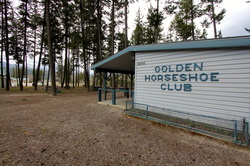 The Golden Horseshoe Club is situated on a prime parcel of Town of Golden land between the Kicking Horse River, Senior Centre, and COTR House; down the street from the Golden Municipal Campground and College of the Rockies - Golden Campus; and across the street from the Golden Municipal Pool, Arena and Gusher's Splash Pad. About 5 years ago, the Club folded and has not used these facilities, which includes 12 horseshoe pits (tournament standard) and a ~12' x ~60' clubhouse with lounge, kitchen and men's & women's bathrooms. Currently, the Town of Golden manages the building by keeping it locked up. This parcel has a lot of potential for outdoor activities and possibly (if flood mitigation issues are resolved) non residential or commercial buildings. At one time, it was thought as a potential site for seniors housing. Another time, it was thought to be a location for municipal offices. In May 2013, Mike Palumbo brought a proposal to the Town of Golden Council that could result in the redevelopment of this land into a refrigerated outdoor hockey and ice skating rink. This $400,000 project is proposed in order to host more hockey tournaments. However, the existing indoor Golden Arena is operating at ~60% utilization and continually runs a significant deficit, as is the case for most public ice hockey arenas. Its many fir trees and few picnic sites, proximate to the recreation complex and campground make it a favourite for locals and visitors alike. In spring 2015, the Gentlemen's Club of Golden began to use the pits on Monday nights for a BYOBeef BBQ and free games of horseshoes. This drop-in event, currently aimed at a younger generation, may result in a renaissance of 'shoe tossing in Golden. Every year, the Mount 7 FSR, now known as Peter Bowle-Evans Road, deteriorates, making it more challenging for vehicles to make it to the paragliding take-off. This road is used by paragliders, downhill mountainbikers, hikers and sight-seers who have a rare opportunity to drive to the top of a mountain in the spring, summer and fall. The road does get an occasional 'grading,' which smooths out the wheel-spin ruts around corners and steeper sections, but it also loosens previously compacted rocks, creating future problems. Some sections need significant attention to prevent the roadway from sliding away. In fact, it is hard to recommend tourists take rental cars up to the top of this beautiful look-out. A tollgate could help ensure that there are funds available for maintenance. While there would be the capital costs of construction of a booth and gate, and operating costs to have someone to accept fees, these could be off-set by the tolls (just as the Golden Snowmobile Club and Golden Nordic Club work). So, a truckload of downhill bikers would be charged $10, with $5 going to road maintenance and $5 going to the cycling club. The following carload of paragliders would see $5 go to road maintenance and $5 to the paragliding club. A mini-bus of tourists to sight-see would have all of their $25 fee go to road maintenance. This data could be very useful to tourism activity providers, restaurants and accommodators. Just like the Golden Snowmobile Club, the gate could only be managed on peak travel days (Fri, Sat, Sun & Holidays), and open to donations the other days (provided the road was clear of snow). 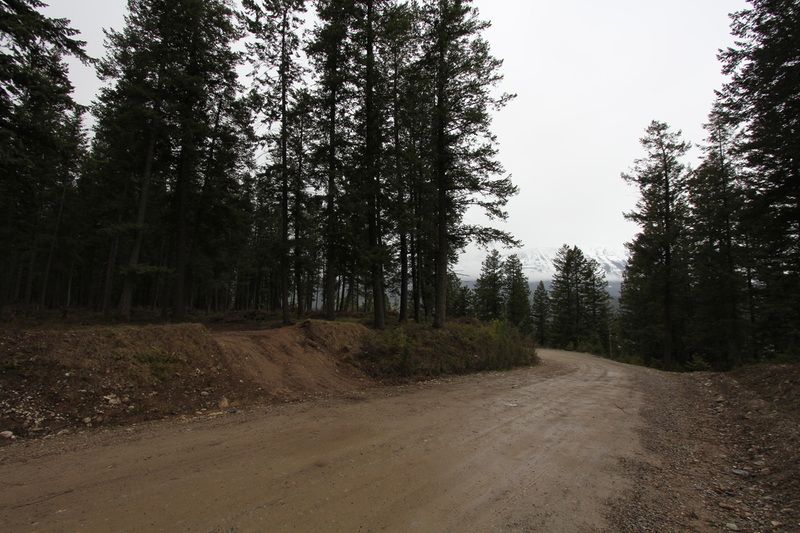 Alternatively, if Golden leaves the management of this road to the provincial government, the road may fall into disrepair or be decommissioned, not making it available to anyone - local or tourist. There are few places with road access to the top of a mountain. Thanks to the Golden Hang-gliding and Paragliding Club and Golden Cycling Club, and the Province, visitors and local residents can get to the top of the mountain by car, by foot, by bike or by snowmobile. Imagine a large telescope observatory situated near the gliding take-off, where people, already inspired by the surrounding mountains can be in awe of the moon and stars at night. Long Point Eco Adventures (LPEA, lpfun.ca) of Turkey Point, ON has integrated a 14" telescope into their main reception building for zip lining, mountain biking, and 'glamping' (glamorous camping) offerings. An observatory and accompanying amenity building could approach $1M to build, depending on the specs and technology. 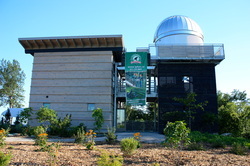 However, an observatory is not absolutely necessary for an observation site. In Jasper, recently dedicated as the World's Largest Dark Sky Preserve, there are two locations close to the town site that allow for excellent star gazing opportunities (Jasper Dark Sky Preserve, 2013). 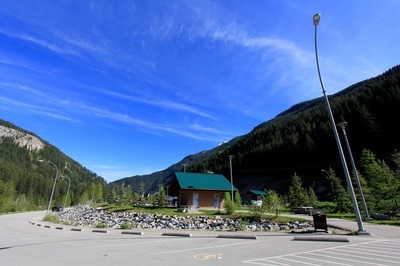 Built during the Park Bridge construction project, the Rest Stop is designed to service the 20,000-30,000 rafters over the summer, who paddle the upper and middle Kicking Horse River sections. The Rest Stop has a capacity for many buses, RVs and passenger vehicles. Bathrooms and interpretative signage are the main amenities available, but the area provides a spot for dogs to be walked, the river to be accessed. To the east, the old road is now a trail that leads to the location of the old bridge, which was removed after the Park Bridge was opened. And by bushwhacking, one can check out the cantilevered road to the west. While this area is very well maintained, it's prime highway location means that it could be better utilized for community economic development initiatives. Proudly supporting community development in Golden.